We believe that small businesses should focus their marketing budgets on digital marketing media that provide measurable results. Effective marketing is one of the key factors in the success of your business. It should help you meet your goals. And you should know whether or not it is. You should have confidence that your efforts are paying off. With today’s digital marketing tools, marketers know the outcomes of their efforts better than ever before. Marketing Metrology aims to help you measure your marketing results, reach your marketing goals and realize your business objectives. A 2017 case study by Google details a small business that abandoned all “traditional” marketing and invested its entire marketing budget in digital. The outcome? A 50% increase in sales. Unlike "traditional" marketing, digital marketing is measurable. 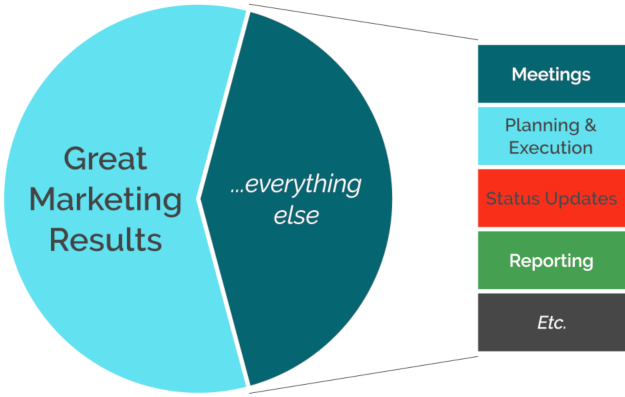 And when you can measure the results of your marketing efforts, you can identify what's working and what's not. You can fix or discard poorly performing campaigns. More importantly, you can allocate more of your budget to the campaigns that are working. With digital marketing, you can measure, adjust and, ultimately, get the most out of your marketing budget. Great marketing results are only part of making sure that you are satisfied. We want you to be happy with our meetings, our planning & execution, our status updates and our reporting. We strive to make every interaction you have with Marketing Metrology positive. Think Marketing Metrology might be able to help you meet your marketing objectives? Or, maybe you're still not sure? Contact us. Let’s find out.